There are two main smoke alarms used in homes, Photoelectric & Ionisation. The main difference between the two types of alarms are how the alarms detect fire. Ionisation smoke alarms have a small amount of radioactive material. When a fire rapidly starts it will give off little smoke, however, the smoke particles in the air will disrupt the low, steady electrical current produced by radioactive particles and trigger the detector’s alarm. Yes, Ionisation alarms are great for fires that may start in the kitchen or laundry, although it’s not recommended to install them in such places, as this will create false alarms. Photoelectric smoke alarms on the other hand uses a beam of light to detect smoky, smouldering fires. Once smoke covers/blocks the light from bouncing to the sensor chamber, it will sound the alarm. These particular fires are resulted in slower burning conditions that produce large amounts of smoke, most common in the home environment. If it isn’t cleaned and dust is allowed to build up, it will give off false alarms. 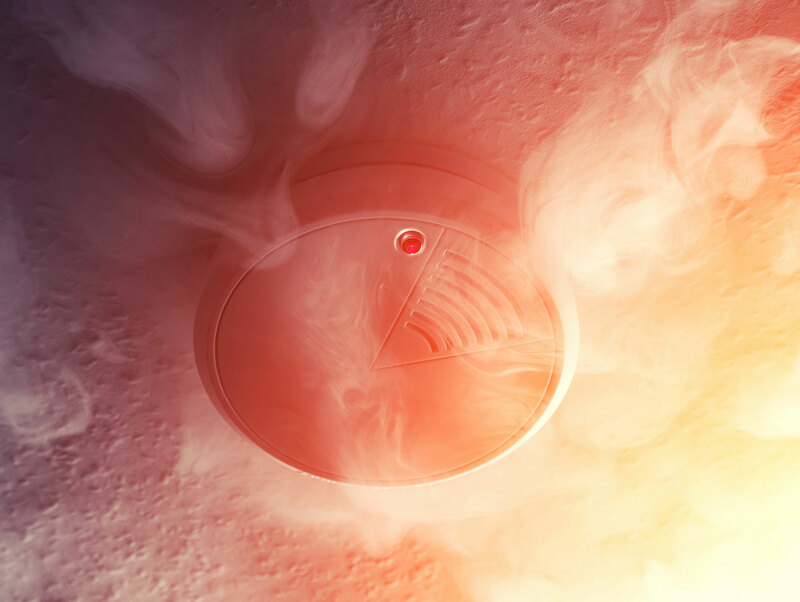 Studies have shown that photoelectric typically responds to smoke/smoulder within three to five minutes – Ionisation alarms can take up to twenty minutes or more, which can make escape more difficult. Therefore authorities recommend photoelectric smoke alarms in homes.